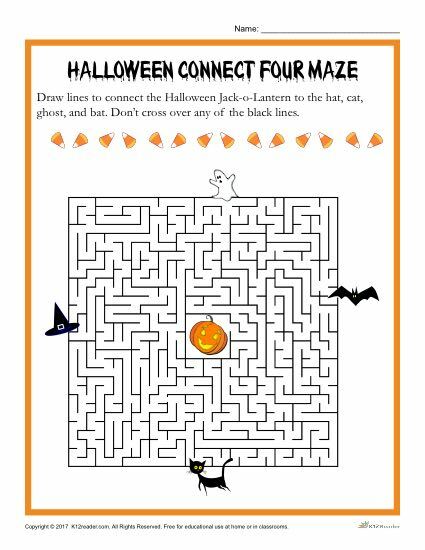 Celebrate this spooky holiday with our printable Halloween Connect Four Mazy Activity! Students will be asked to draw lines to connect the Halloween Jack-o-Lantern to the hat, cat, ghost, and bat. Can you do this without touching the walls of the maze? Let’s find out! This Halloween activity is a great way to keep students engaged and having fun in the classroom. Made easy to print, this Halloween worksheet is perfect for parents and teachers to use both at home or in class!